Puerto Rican comedian Gaby Alicea took on Daddy Yankee’s new hit “Dura” to slam Puerto Rico's Electric Power Authority for mailing expensive electricity bills to the island's residents. “I don’t want a machine or anyone charging me, there’s no electricity in my house because all the posts were knocked out,” sings Alicea in the parody that plays on the song’s rhymes. Over four months have passed since Hurricane Maria struck Puerto Rico and an estimated 30 percent of the island's households still lack electric service, relying on electric generators to keep the lights on. Last week, Gov. Ricardo Rossello announced plans to privatize the territory's public power company, which is $9 billion in debt and was beset by problems long before the hurricane. Power bills in Puerto Rico are double the average of those on the U.S. mainland, The Associated Press reported. 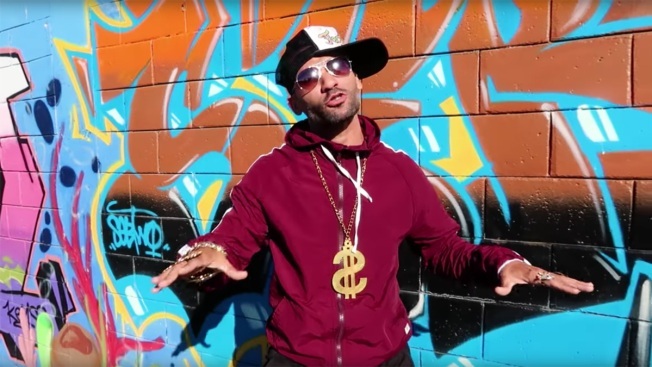 In the video, Alicea takes jabs at the government agency’s brigades that “stop traffic” but don’t put up the utility posts back in place – all to the reggaeton backdrop by the acclaimed "Despacito" rapper. “Put up the post, post, post, you already have the materials, don’t make me wait any longer,” Alicea pleads. The comedian also gives a shout out to Puerto Ricans who are considering leaving for the mainland. “I’m moving to Hawaii, there’s no hope to get back the lights, so bye-bye,” he rhymes. The parody comes after the original Daddy Yankee song sparked the viral #DuraChallenge. Thousands of people have posted videos of themselves dancing to "Dura" since former Miss Universe Zuleyka Rivera posted her version on Instagram.